You are currently browsing the archives for the day Wednesday, February 8th, 2017. 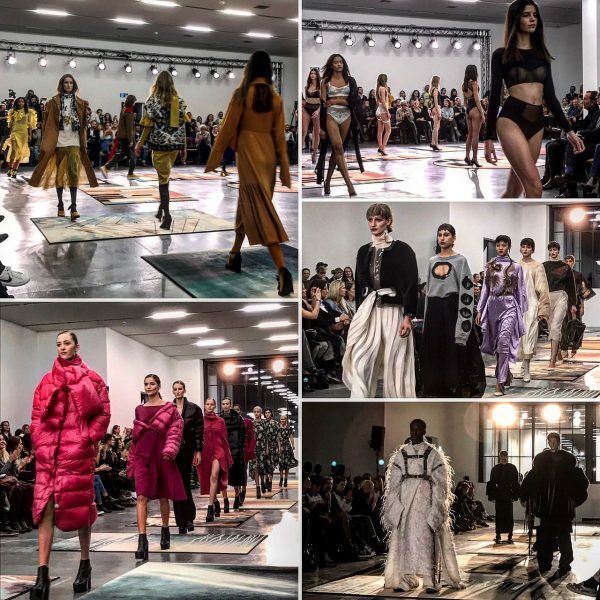 Last night, I attended the 11th edition of the MODE SUISSE at the Migros Museum für Gegenwartskunst in Zurich. 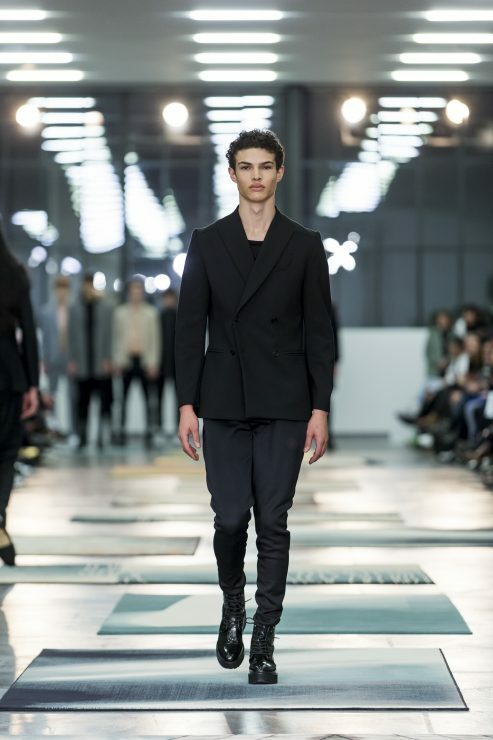 Ruling the runway were upcoming and established Swiss labels. A well prepared and entertaining presentation that showed a lot of passion for fashion in Switzerland. Some might still be too experimental, reminiscent of graduates at a design school, but the dedication that went into the work was absolutely worth it. 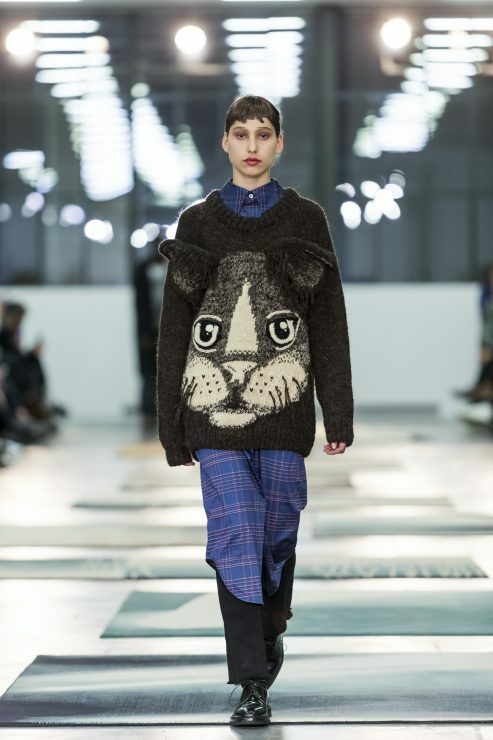 Bravo for the model casting! Very professional! Some of my own impressions of last night. 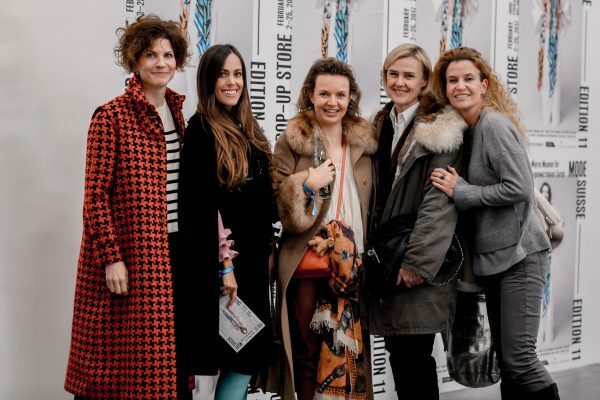 Girls squad: Laurence Antiglio, my humble self, Alexandra Kruse, Lisa Feldmann and Catherine Gonin. 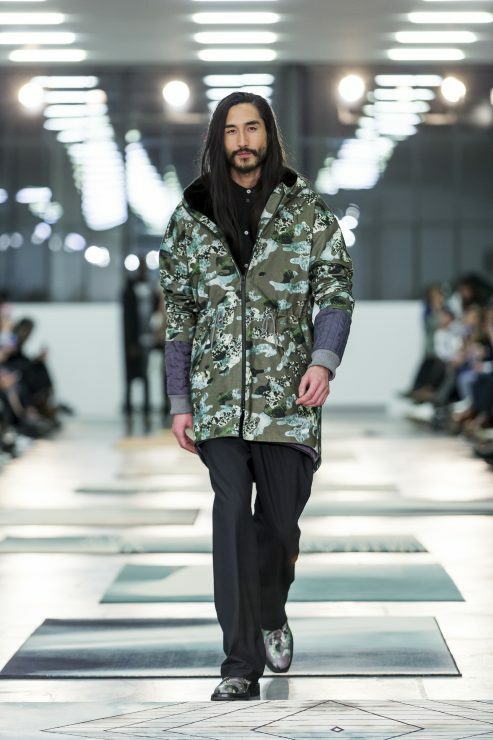 Ruling the runway was this upcoming Swiss label, one my favorites of last night. 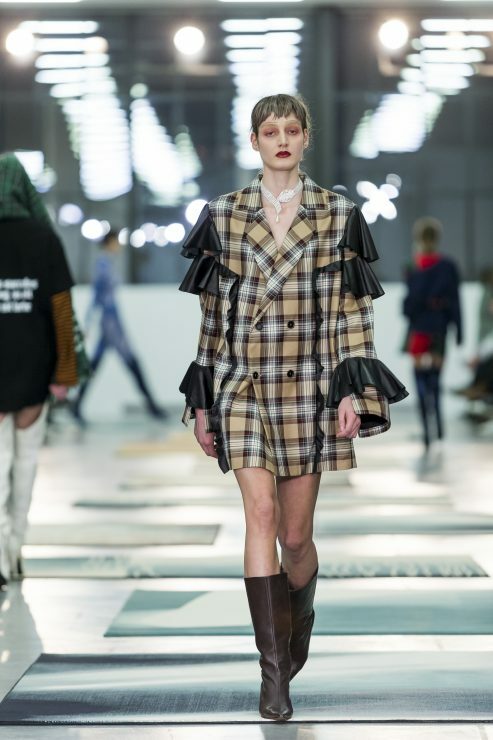 A little touch of Vetements paired with some Alessandro Michele ruffles, Julia used some of the most trending details of the season for this fun collection. Just beautiful! Those lingerie pieces are ultra daring and very luxurious, all hand-made in the Swiss atelier, soon also available at Breuninger Germany. Founded by Monique Meier, enSoie creates socially responsible fashion in Zurich, Los Angeles and Kolkata. Now in the hands of the youngest daughter Anna Meier, the label experiences a makeover. So Zurich, so Swiss, so traditional! 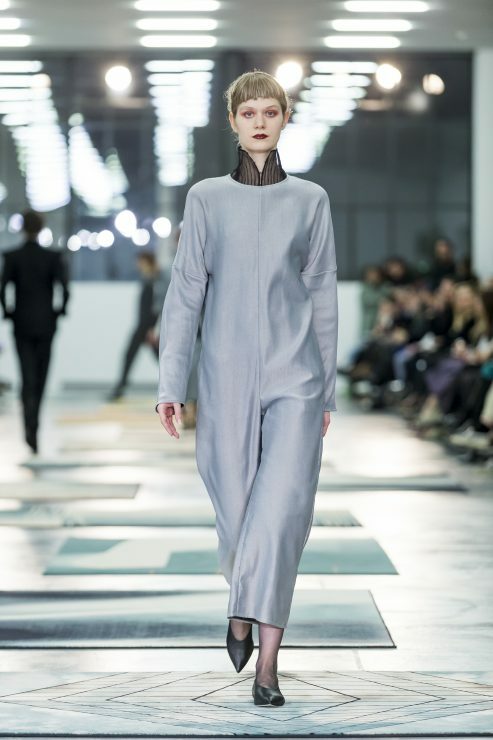 Inspired by her Iranian roots, the designer created fluid lines with feminine details. 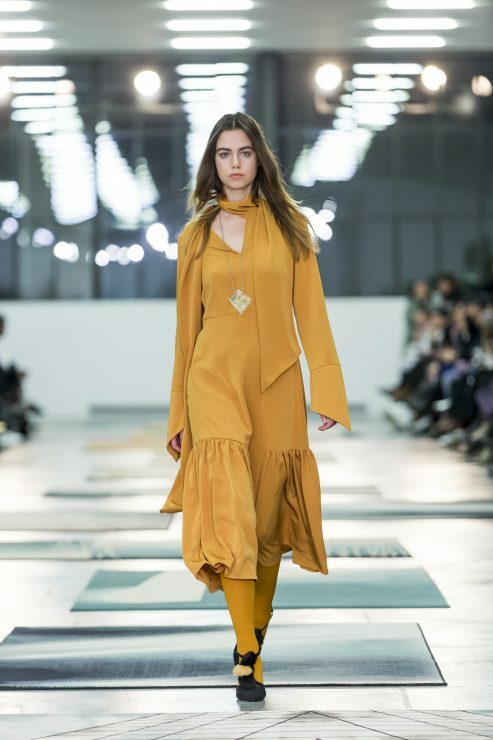 Personally speaking, some of the looks were a little too much “Chloé”, but other parts have absolutely convinced me such as the dress below. 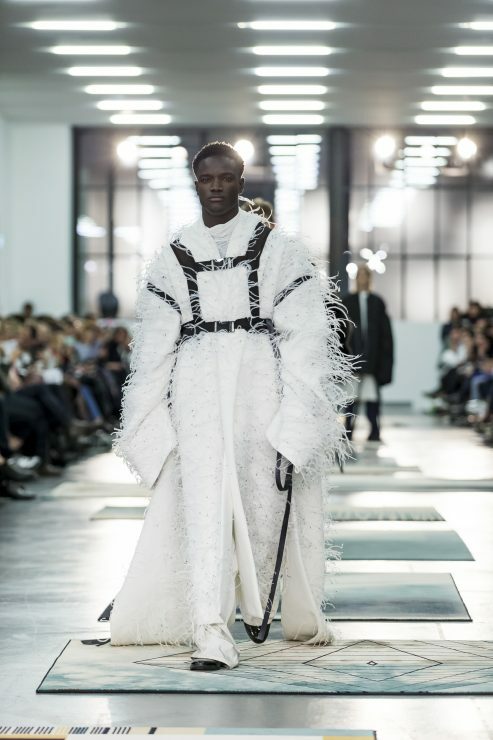 The label’s post-dandy menswear starring Louis Vuitton-exclusive Noah Brown (see above) and Zegna-boy Fallou Gueye (see below). 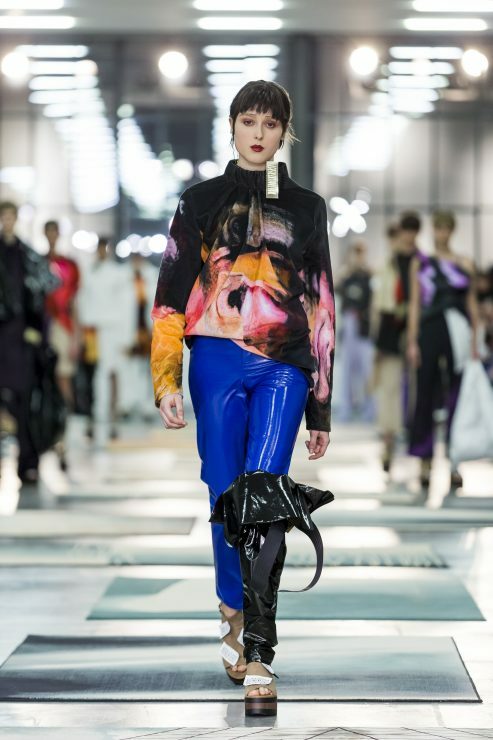 Julian Zigerli’s second showing of womenswear and the gender fluid menswear that he is known for, this season inspired by the musical «Cats». For me, this was not Julia Winkler’s strongest collection. The looks were not very flattering, the music was depressive, this season she was a little too much experimental. 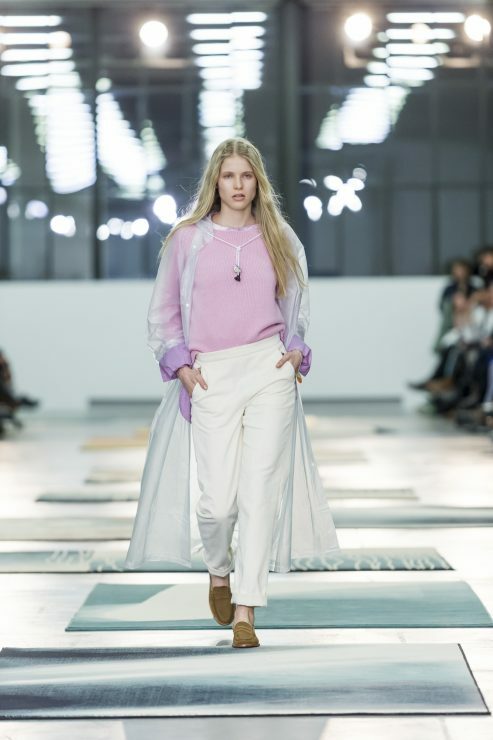 The designer duo made their much-anticipated debut at Mode Suisse. 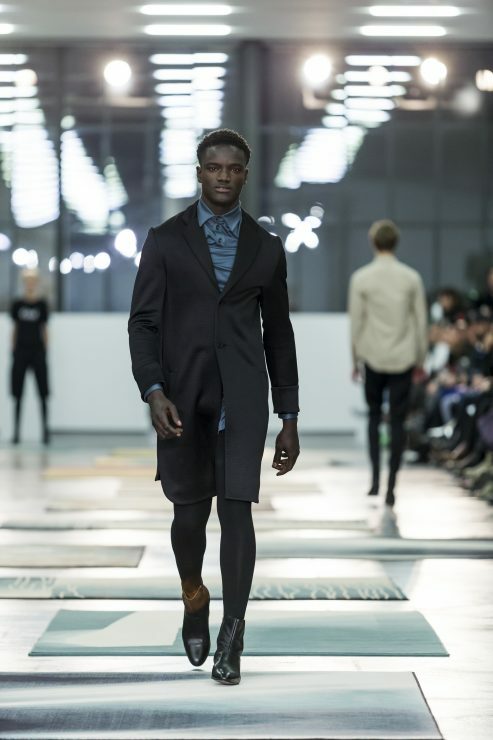 The fashion brand is based in Basel and their garments are not particulary linked to the seasons. 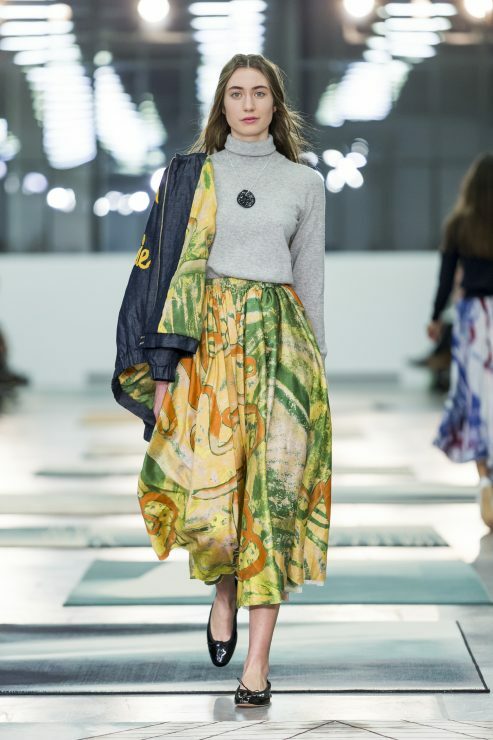 The cosmic prints reminded me a bit of Christopher Kane. I like! 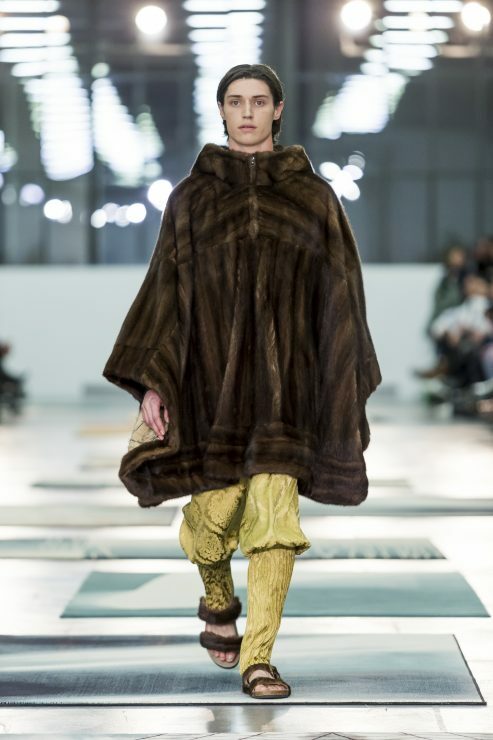 The Swiss designer uses vintage fur patches to create new pieces. 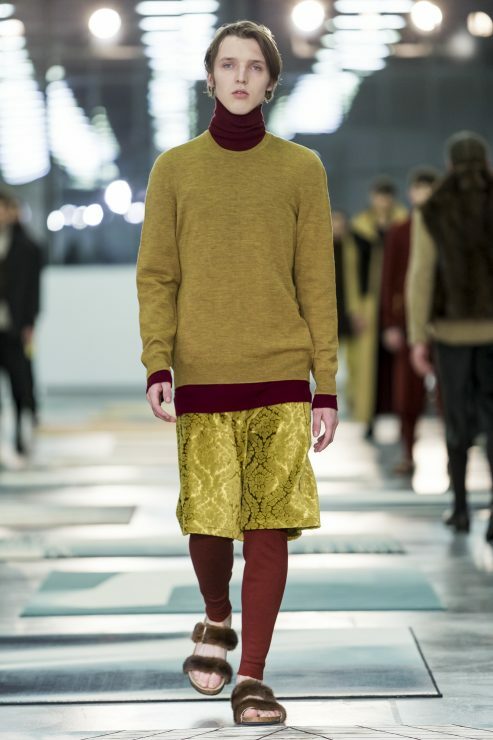 I would like to see some men on the Swiss streets in those extravagant looks or probably not… what do you think? 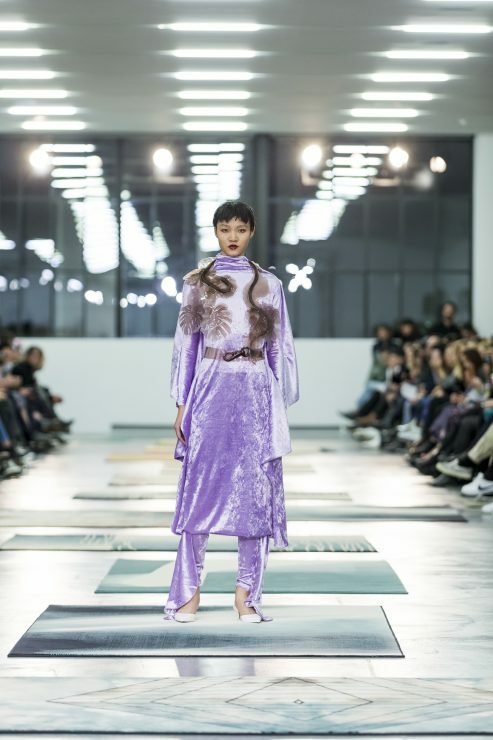 The work of Jeremy Gaillard, Vanessa Schindler and Flore Girard de Langlade were presented during the 11th edition of Mode Suisse. 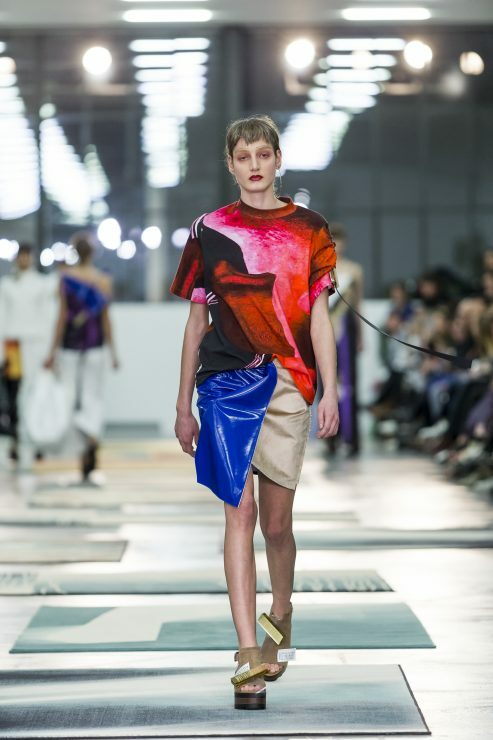 Dorothee continues to be one of the most significant players in Swiss fashion. Her perfectly finished waisted jackets are legendary. I hope that you enjoyed my little summary of last night. 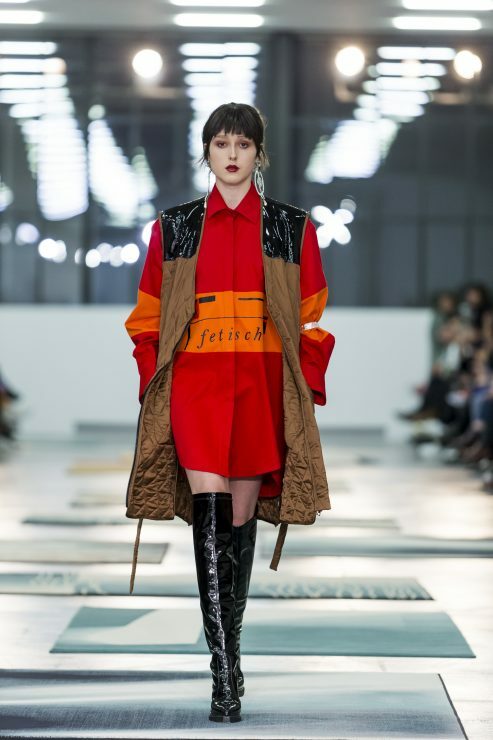 Great news is that Mode Suisse intents to make sure Swiss designer fashion is not only presented on the catwalk but becomes a day-to-day experience for everyone. 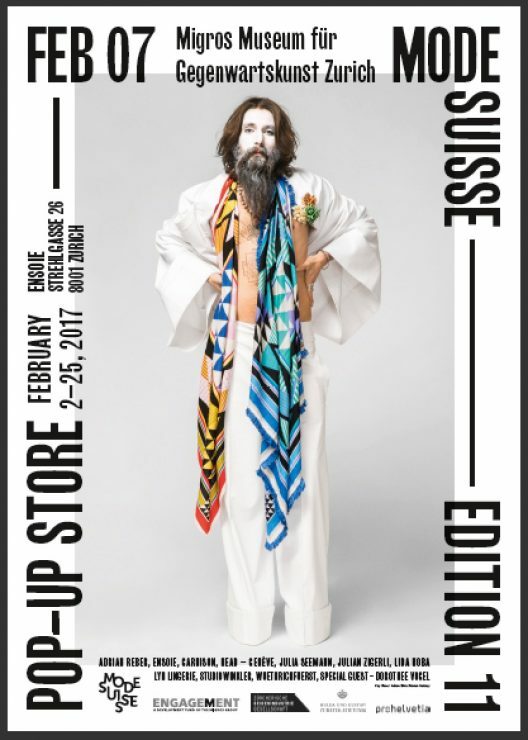 You can try on and buy Edition 11 creations in the Mode Suisse pop-up store until February 25, 2017. Location: enSoie, Strehlgasse 26, 8001 Zurich.